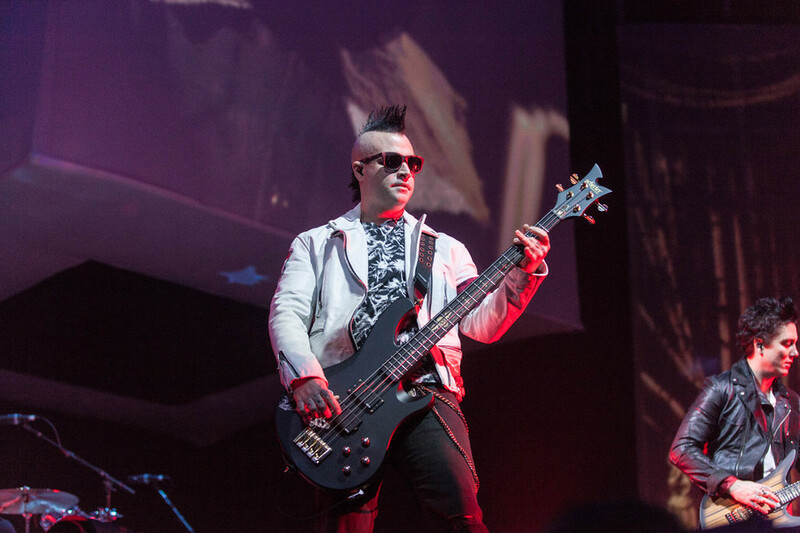 Avenged Sevenfold are one of those bands who have spent most of their career teetering in the no-man’s-land between hard rock and heavy metal. 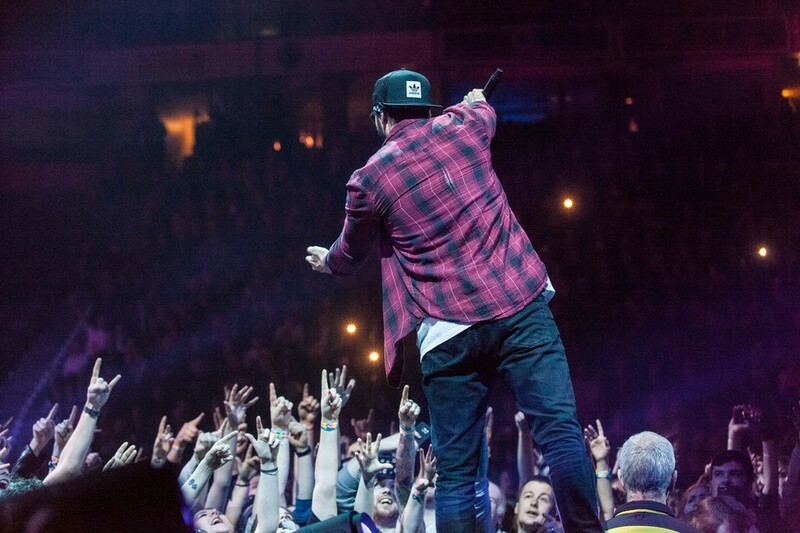 As much as they’re well capable of booking a European arena tour in their own right – they long since graduated to the level of festival headliner within their own corner of the musical world – they’ve still opted to bring along an impressively heavyweight supporting line-up on this UK jaunt. Sweden’s In Flames open proceedings and immediately disappoint – both with the kid gloves approach of their set, which leans very much in favour of their softer, recent output, and in terms of the stupefying decision of frontman Anders Fridén to commit the cardinal Mancunian rock show sin of effectively outing himself as a Manchester United fan. 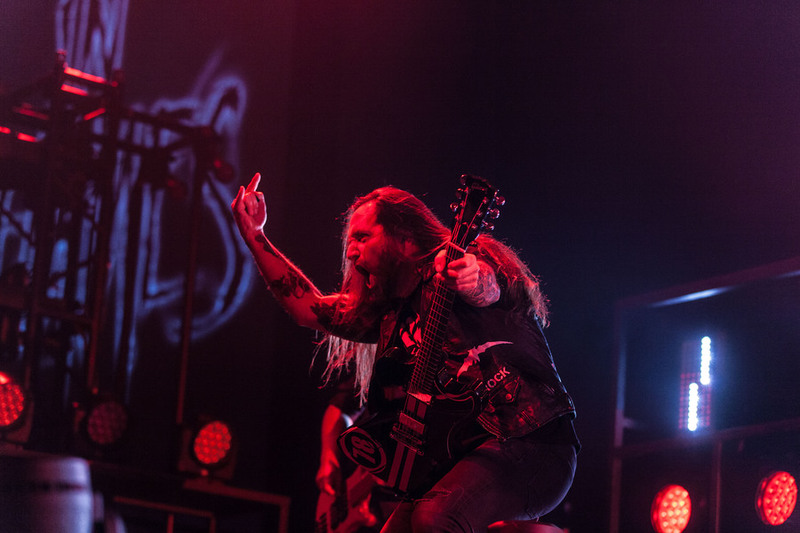 The two factors conspired to bring the slot to a close on a bum note, with fan favourite Take This Life only managing to inspire a handful of fairly pathetic attempts at the circle pits the group requested. 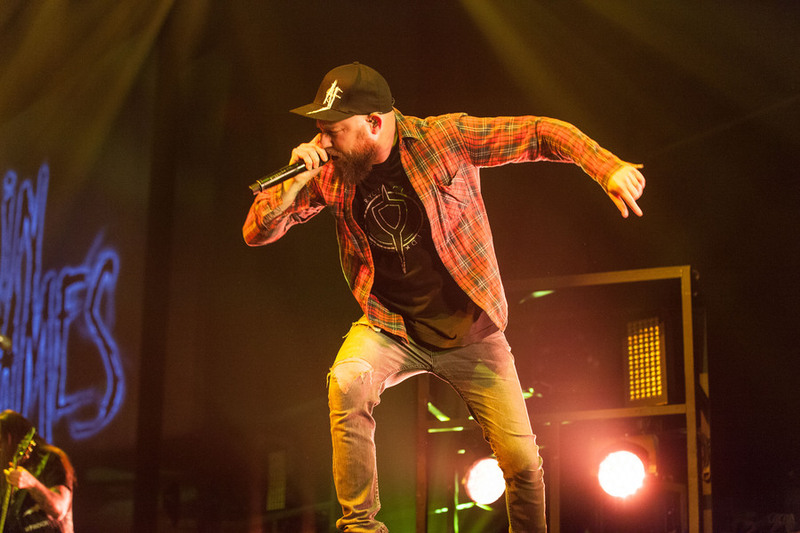 Chicago’s Disturbed, who fill the primary support position, quickly come over as much more experienced hands in this kind of situation, both off their own backs and in opening slots like this one. 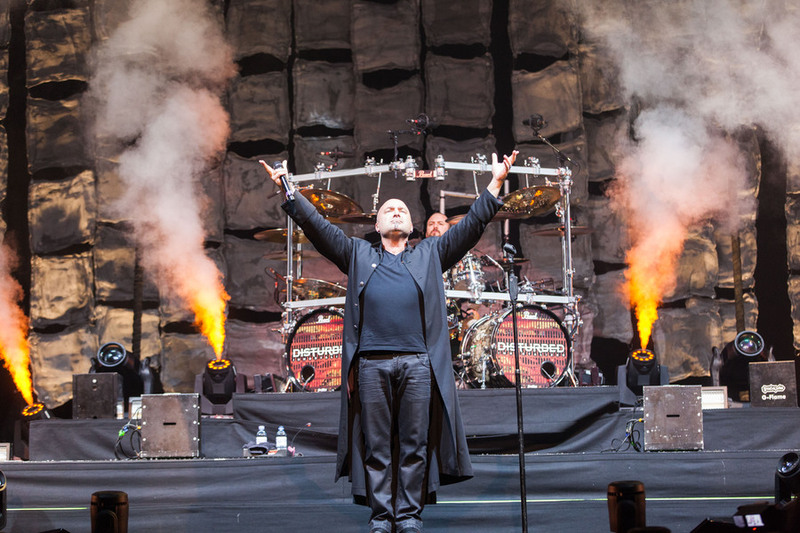 Between the liberally-employed, flame-throwing stage props that they’ve brought along and Dave Draiman’s marvelously indulgent trenchcoat, it’s evident they haven’t skimped on the stage show, and the setlist runs the gamut from old classics Stricken and Down with the Sickness to a raft of new tracks from 2015’s Immortalized. 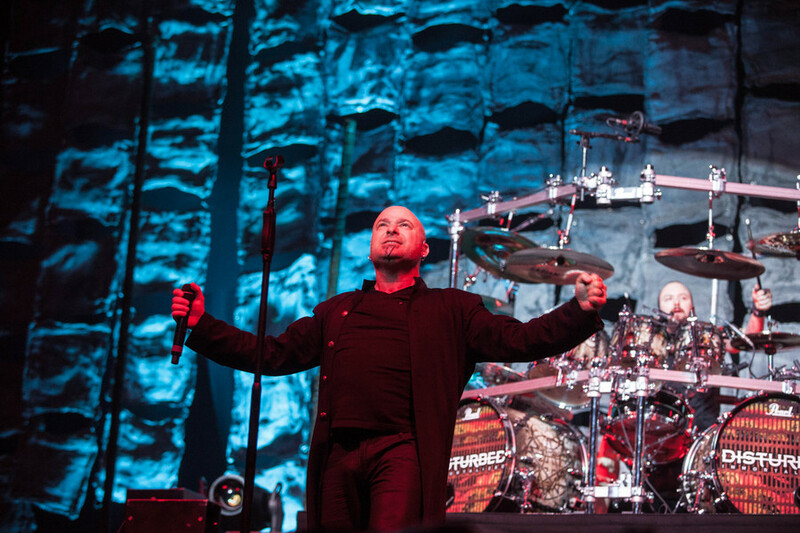 Draiman’s the real star of the show, striding up and down Sevenfold’s vanity thrust, in and out of the crowd and putting on a veritable vocal clinic with his trademark baritone. 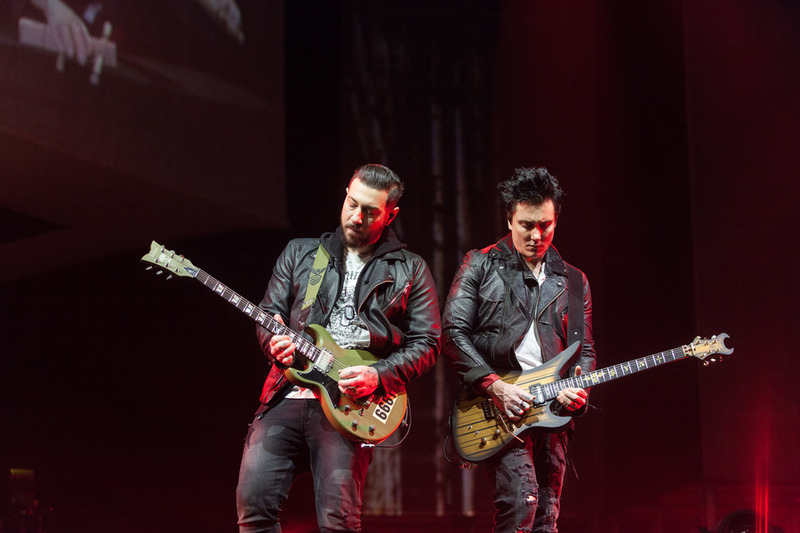 Sevenfold, meanwhile, are here in support of last year’s The Stage – a record that they released in the surprise style that’s now all the rage, after an ugly and protracted legal wrangle with Warner Bros. They're not an outfit predisposed to doing things by halves and the live set-up that goes along with their newest record – in itself a treatise on artificial intelligence and virtual reality – involves enormous screens, scintillating lights and, by the end, an enormous floating astronaut holding court over the Californians. 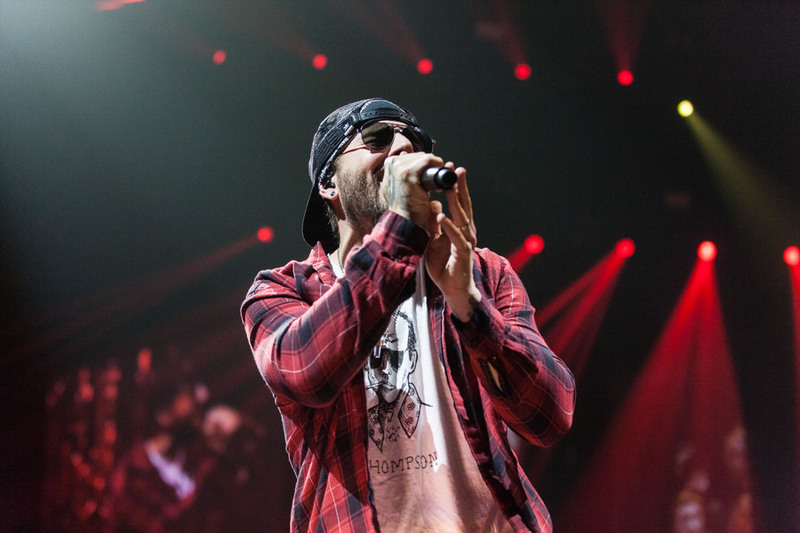 M. Shadows’ stage presence and patter belie his 35 years and, as close as he often veers to cliché, he has a near-capacity crowd in the palm of his hand throughout. It’s one thing to make a concept album and another entirely to be able to cosily mesh cuts from it with more straightforward classics; in this case, Almost Easy and A Little Piece of Heaven fill that role. 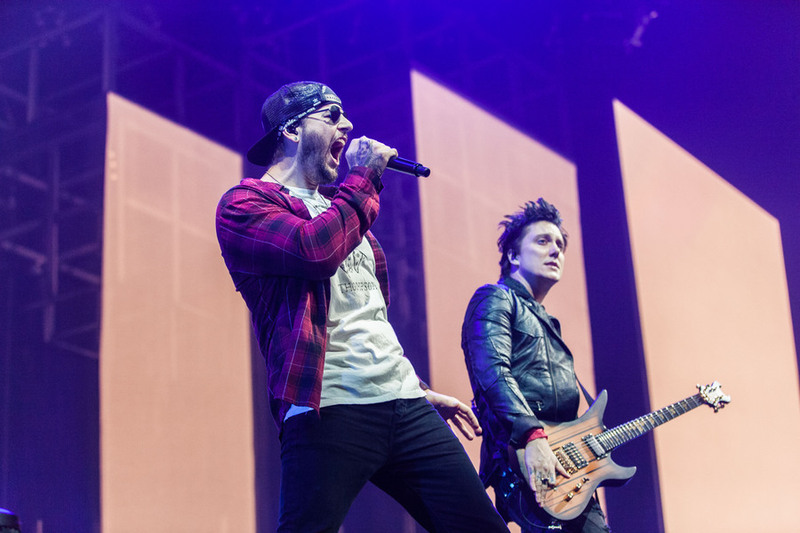 If anything, Sevenfold come off almost disconcertingly polished – you might have expected things to feel a touch rougher and readier so soon in the aftermath of the upheaval they’ve been through.